She’s not quite Table Mountain, but with her full-bodied figure and polished complexion, Paarl Rock is still a sight to behold. And now, thanks to Cascade Country Manor, it’s possible to not just look at her impressive curves but to get up close and active with them. 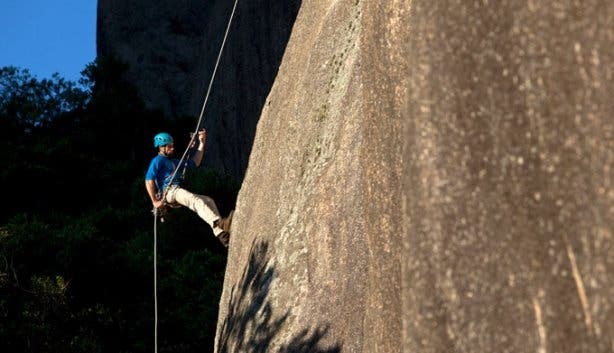 In January 2015, the Cape Winelands hotel became the first establishment to offer formal guided abseiling excursions down the peak’s smooth slopes, which means that now everyone and anyone – even those without the equipment or know-how – can rope their way from the top to the bottom of the area’s most famed granite formation. 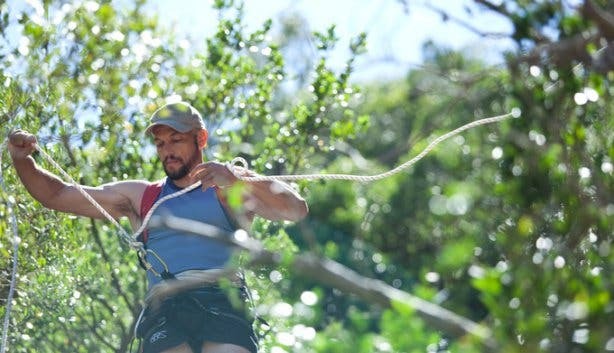 And aside from offering some exhilarating outdoor action, the new adventure activity is also a prime way to take in the Paarl region’s pretty scenery. During the drive from the hotel to Paarl Rock, Eckhardt talks at length about the history of the town and the important role it’s played in South Africa’s cultural and linguistic development; while leading abseilers along a leisurely walkway to the elevated launch site, he divulges details about the region’s flora and fauna and unusual granite domes; and after all the excitement is over, while adventurers nibble on snacks in the shade of a forest, he rounds up the experience by answering questions and serving up other fun facts about the district and its peaks (did you know that Paarl Rock is home to a leopard family, for instance?). 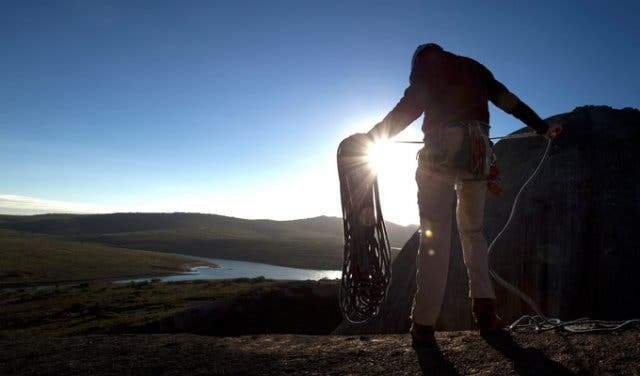 The focus on cultural and environmental details is one reason why abseiling at this acclaimed Winelands destination isn’t just for adrenaline addicts and fitness fanatics, but also for casual explorers and family groups. 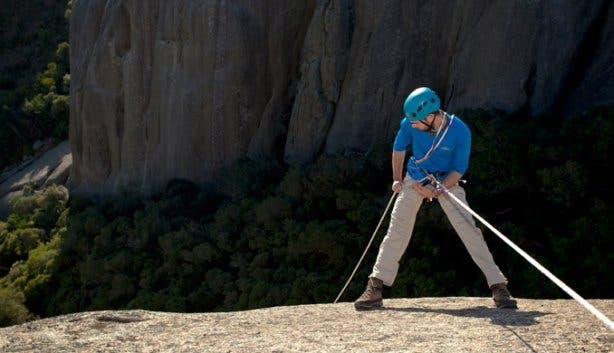 Though, the fact that the mountain’s rounded slopes make for easy abseiling as their steepness increases gradually does help too, as does the comforting knowledge that Eckhardt places a lot of emphasis on safety – he offers an extensive briefing beforehand, double-checks every harness individually and hooks every participant up to two separate rope systems so that they have a back-up. 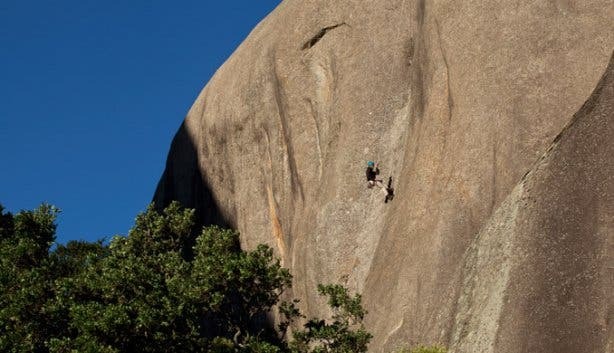 This way, thrill-seekers can just relax, place all of their trust in the expert guide’s hands and put all of their energy into soaking up the splendid experience of gliding down Paarl Rock’s luscious curves for the first time. Note: There are a few restrictions involved: children must be 12 years of age or older to participate and all under-18s must have a parent present while abseiling. There are no specific weight limitations, but guests must have a reasonable fitness level so that they can manage the walk up to the top of the rock. 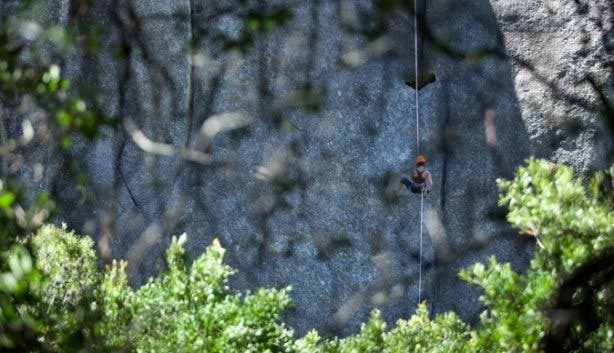 Tip: Abseiling at Paarl Rock makes for a great corporate team-building activity and a fun kids’ birthday party idea – just contact Eckhardt to discuss details. 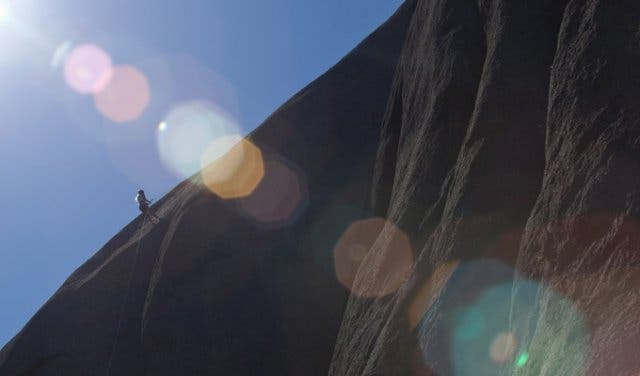 The Bill: Abseiling costs between R650p/p and R1200p/p, depending on the size of the group – Eckhardt ordinarily caters for up to four people, but he will accommodate up to 10 individuals if given sufficient notice. He is also open to offering group discounts and special prices for children. 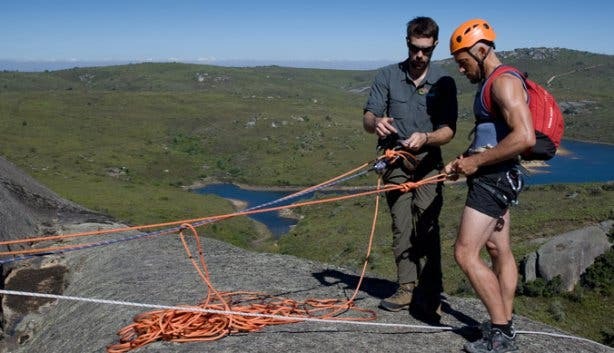 To book an abseiling experience, phone Cascade Country Manor on +27 (0)21 868 0227 or email activities@cascademanor.co.za (soon it’ll also be possible to book via the ActivityBridge website). Read about another exciting outdoor activity in the Cape Winelands: the Elgin Cape Canopy Tour.